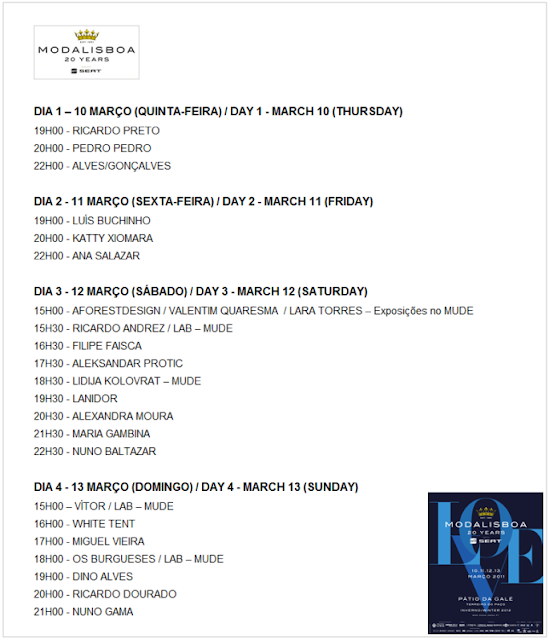 YAYY - I finally got my GO to enter all the fashion shows at the Lisbon fashion week. I am so excited and I can't wait to be there!!! Thank you Tiago da Costa Miranda to make this possible. WOW you are so lucky. How did this happen. I wish I could have gone to all the NYC shows. this is going to be some AWESOME! ur blog is awesome. and the last post, im lovin the outfit. mind to check mine?